Webydo has been around for the better part of two years, yet the official launch was made just recently at TechCrunch Disrupt New York 2013. Already more than 70,000 sites have been created using the technology and more than 13,000 designers jumped ship, coming from other solutions. The first agency to become beta partner went as successful as to create more than 1,000 sites in one year alone, with a team of just 15 designers. Situated in Tel Aviv, Israel with an office in New Jersey, US, Webydo gathered a crowd of mathematicians to create a product that takes mathematics out of website development. According to Webydo’s research, 70% of the budget of professional website design creation is currently spent on the development of handwritten code – which is nothing a professional designer is able to tackle with, nor does he even want to. Of course there are competitors in the field of site building, too many to count even, yet do they aim at clients directly. They all offer a plethora of different templates to choose from, which is great for people who have no idea of design, yet want to build their sites on their own. Webydo does not aim at the same group. The best way to judge whether a service fits your needs is to try it out. This is also true for Webydo and they know that. In the course of signing up, Webydo stays out of your way as far as possible. They ask you for a name, an email address and a password and immediately forward you to the editor. No hassles. Once there, you have three choices. You can either start with one of the inspirational designs from different industries. 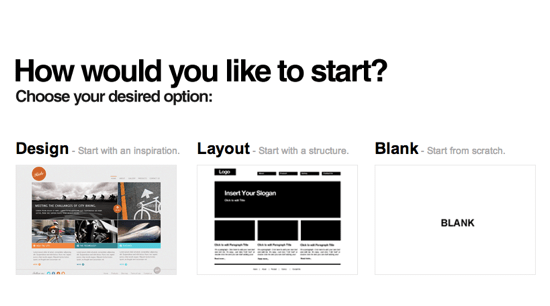 Or you can start with a pre-structured layout or you can let go of everything and start with a blank canvas. If you are like me, you’ll like a little bit of something already there and might want to go for a structured layout. You can choose between Corporate, Portfolio, Graphic or Wide Box. Once chosen, Webydo advises you to take a short video tour into the general handling of the editor. There are more of these videos throughout the process. You should definitely watch them, they are worth your time and have you getting up to speed loads faster than without them. The editor is clean and intuitive. Just like you know from Protoshop or even more so InDesign, you are able to position and edit elements either by using your mouse or by setting pixel values for an even stricter control. Lots of competitors don’t offer the latter, which is a regular deal breaker to me. 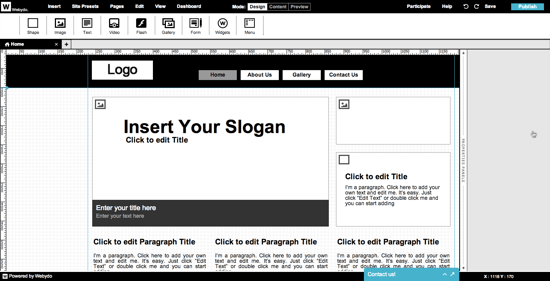 Not only the UI will look familiar to users of graphic design software, the wording will too. This editor speaks graphics design and no nerdy web developer talk. Webydo’s editor sports three different modes. You can either stay in design view, change to content view, which shows you all the user-editable areas or display a preview of the site as shown to the world. We all know it. Web design is not code-free. Thus, Webydo’s promise to do exactly that, a code-free design, cannot stand the fact check. It does keep you away from code, though. What Webydo generates is standards-compliant HTML that looks great on any device. Yet, developers might be able to optimize it fiddling around long hours (I sometimes get the impression that coding is somewhat of an ideological, almost religious act for developers. It even makes them forget time and space and costs.). Anyway, there’s no denying. 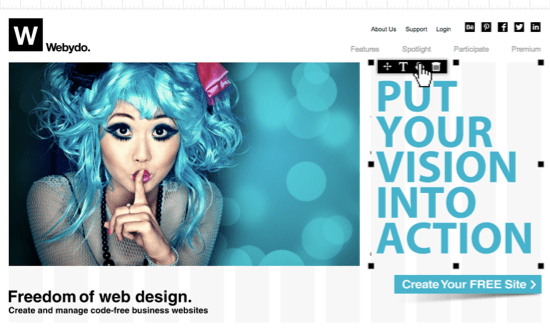 Webydo is able to create visually compelling websites with rich and impressive user experiences. It is the perfect tool for a photographer’s portfolio, an architect’s site or a corporate presentation. As soon as business logic gets involved, things change and you’ll need that developer again. However, through Webydo’s widget feature you can add almost any extra functionality needed. For instance, E-Commerce provider Ecwid and Webydo cooperate to integrate sophisticated online stores directly from the Webydo editor. With Webydo evolving we might see more of these built-in widgets in the near future, each one helping designers reclaim their share of what once was their domain: design. Talking of strengths, let me not forget one outstanding feature of Webydo. Their CMS is simple to use, easy to understand and even your clients will get a grip of it in under 30 minutes. Talking about pricing there is nothing to hold against Webydo. In fact it sports one of the most generous pricing models I’ve seen. If you are able to accept having your sites hosted as sub-domains of webydo.com with each site not bigger than 15 pages and larger than one GB, Webydo will charge you not a single penny. Exceptional: Bandwidth is unlimited. Note that you can create hundreds of sites that way. If you want to use your own domain, need more than 15 pages or more space than 1 GB, you’ll opt for the premium plan, which asks you to pay a monthly 7,90 USD (9 USD if you don’t want to tie yourself to the service for a year) for unlimited pages and 2 GB of storage. The domain hosting is included in the price, so you don’t need another provider or hosting plan. As website hosting is not a decision to be taken anew from month to month, you will want to go for annual savings. If you or your clients tend to have long pockets and short arms, you can always start with the cheapest option – free, that is – then upgrade as needed. Note that, if you decide before the end of tomorrow (August 31st of 2013), you’ll get the premium plan free for the second year, saving you around 100 bucks for the nicer things in life. Large web agencies or individual designers with a large customerbase should directly get in touch with Webydo. They’ll make you an individual offer you cannot refuse (hopefully). These days Webydo extends their platform to become nothing less than the center of your web design business. With the new service “Build Your Brand” designers are now enabled to white-label the system, putting Webydo as a brand completely out of the picture. “Bill Your Client” makes it possible to directly invoice clients for projects or services from the Webydo backend. 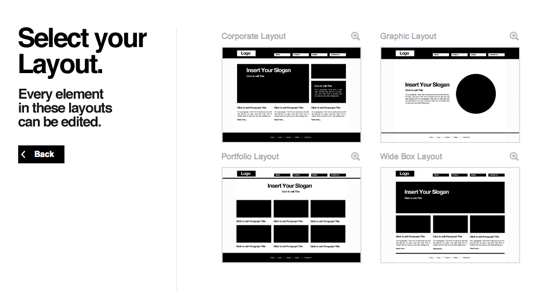 “Share Your Site Design” lets designers create uneditable areas on the one hand and editable regions on the other. This way clients can change content without breaking the design. The CMS feature of Webydo is the strongest I have seen in any site builder. This is a true revolution in professional website creation. For the first time, designers have complete control over the entire website design process and they can build their own independent web design business without hiring developers or manually writing code, focusing on the creative side only. Following our designers requests, we’re now adding a highly secure and efficient automatic payment system to the Webydo Dashboard. Webydo now takes care of all the technical and financial sides of running a successful web design business, enabling designers to create websites that can cost their clients up to $10,000 in a process that is ten times faster and cheaper. And here is a special something for our readers: 69% OFF your Webydo Professional Yearly plan. Just grab the below coupon code and redeem it in your Webydo account by the next 96 Hrs. Would have been perfect, if it had been possible to save your design/cms functionality on your own webhost somehow. Many of the clients i’m doing work for already have a webhost they dont wanna leave. Thanks for commenting. Webydo gives you free hosting so there is should be no problem for your customers to make a switch. Usually, hosting costs money but Webydo gives a better and free plan for this. If you really want, you can take your website and host it wherever you are, but keep in mind that you’ll leave behind the editor and CMS abilities that Webydo offers. 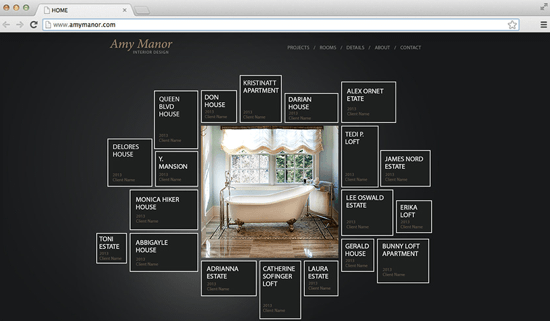 Lovely if you start a new webdesign project. Indeed many of my re-design clients looking not to do so many changes (among all is host). With this thought is where creating websites went wrong already in the beginning of the (commercial) web. Print is static, web is fluid! You simply can’t take the print approach to the web. it may be a helpful tool for beginners, but if you’re able to build your site at your own, do it. Thanks Petereit for giving us an informative post. I appreciate your free plans and benefits. This will be great for new projects! Thanks to all for your comments and thoughts on using Webydo for your web design business. I would encourage you to try Webydo out and see for yourself how you can benefit from using this online platform. If you see anything you want changed or added – feel free to add it to our Participate page. This will be seen by our product managers and development team. Wow this looks incredibly easy to use. I think I’ll definitely have to give it a trial run! Glad I found this.